Your website is your shop window on the web and should represent you and your identity. 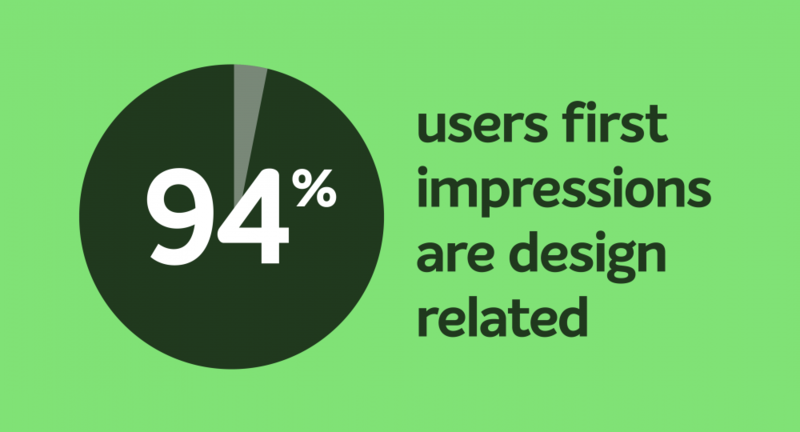 Users form very quick impressions, and most can tell the difference between a professionally designed website and an amateur one. Even a professional “off the shelf” site may create a different impression as it may seem subtly familiar to other sites the user has seen around the web. Other organisations or visitors may have seen the template you have used on other websites or may even have used it themselves. This can devalue your brand in their eyes. By using a template people are often restricting their site requirements to the limited functionality available, often ignoring the key user requirements that could maximise exposure and conversions to their service or product. It is worth investing in a website that reflects the quality of your product or service. A website for a lot of organisations is a key marketing tool and working with a professional team will help to utilise this tool to maximum effect and effectively engage your target audience. A well designed website that portrays a positive user and brand experience can quickly pay for itself by building brand trustand greater visitor numbers retained for a longer time on your website. We will make your website stand out from the crowd and fits with your brand and personality. A professionally designed and developed website offers advantages for businesses that DIY solutions such as website builders (for example Wix or Squarespace) aren’t designed to achieve. Developing your website on a CMS such as WordPress or Drupal gives you flexibility and room to grow, something that you may find restrictive and frustrating using DIY website builders. While your design is bespoke, a lot of people overlook the fact that your code base is also bespoke. Creating only code you need that is tailored to your requirements gives you a faster website and a better user experience both front and back end. Drag and drop page builders create a lot of bloated unnecessary code on your website which affects load times and can have a detrimental impact on SEO. We only use open source CMSs with large, vibrant communities of developers, so you’re never going to be stuck with an out-of-date system that no one knows how to maintain, and as long as you (or we!) keep the codebase up to date, you won’t have any security problems. For some people and organisations starting out who have little or no budget, DIY solutions can be great to get a first online presence. However, if you feel you need something more professional and are searching for an agency to help with that, please get in touch and we can discuss your requirements.